Metroid Prime 3: Corruption set a new standard for first-person motion controls in video games. Now it's bringing those controls to the rest of the celebrated series, allowing players to experience the entire Metroid Prime story arc with the peerless precision of the Wii Remote. 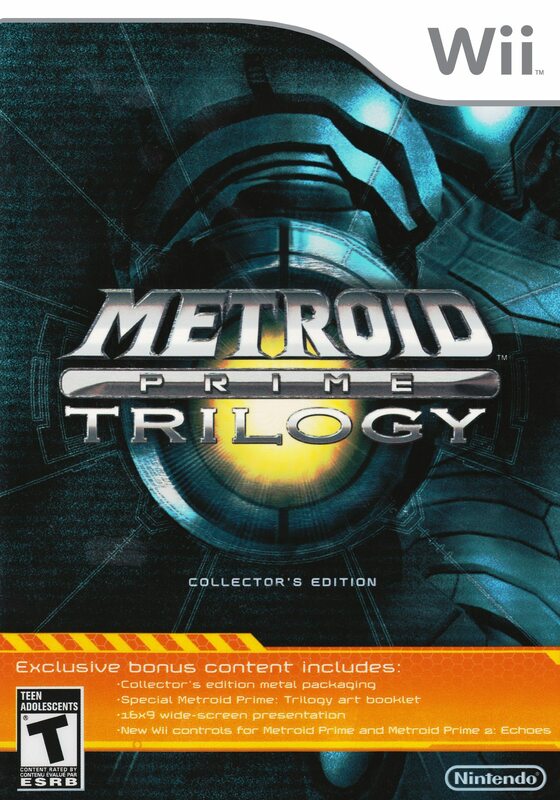 Nintendo announces Metroid Prime Trilogy, a new premium three-game collection for the Wii console that bundles all three landmark Metroid Prime games onto one disc and revamps the first two installments with intuitive Wii Remote controls, wide-screen presentation and other enhancements. Each game maintains its original storyline and settings, but now Metroid Prime and Metroid Prime 2: Echoes let players use their Wii Remote to aim with precision as heroine Samus Aran. Based on the breakthrough control system that debuted in Metroid Prime 3: Corruption, these new Wii controls bring an entirely new level of immersion and freedom to these milestone games.